2016 is fast approaching and many first time buyers will be searching for the best mortgage solution to fit their needs. What first time buyer program fits you best will depends on a few variables. Below we will talk about each 2016 first time buyer program available and the things you need to know when picking the best finance option for you. Home Location – First and foremost the home you purchase must be a “rural approved area” according to the USDA map here. For Florida residents, if you want to live in downtown Jacksonville, Orlando, Tampa or Miami – this program won’t work for you. However, many of outside surrounding suburbs in these cities are still eligible for USDA RD in 2016. In Fla, Pinellas, Broward, Monroe and most of Miami -Dade County are not eligible. Remember the property seller is not of concern, just where the house is located. Contact us at 800-743-7556 to discuss exact approved locations around your town. Home buyers in other states can check out USDA Mortgage Hub here for more information about national USDA loans. Household Income – The USDA program has income limits, the income produced by the household must be below the set limits in place for each county. This includes all income producing members of the household even if they are not a part of the loan application. The gross USDA household income limits start at $75,650 per year for most 1-4 member households, some counties are higher. In addition the limits increase significantly for households with 5+ members – over $100,000 year in many counties. 620 or greater credit score needed to apply from most lender, banks and brokers. 100% financing – great for first time home buyers that have limited money saved up. School teachers, firefighters, police – this program is great for public service workers. No bond money or down payment assistance needed since the program does not require a down payment. No special first time buyer class to sit though. You can be pre-approved in under 30 min. USDA is not limited to strictly first time buyers. Move up buyers can apply as well! Seller paid closing costs – in addition to 100% financing, the USDA program permits the home seller to pay all your closing costs. Closing costs rolled in – Seller doesn’t want to pay buyers closing costs? Buyer still has the option to build closing costs into their loan as long as the home appraisal is high enough to support the final loan amount. USDA one-time Guaranteed FEE of 1.0% – this can be included into the buyers loan regardless of the home appraisal. There is no minimum savings borrowers need to apply. 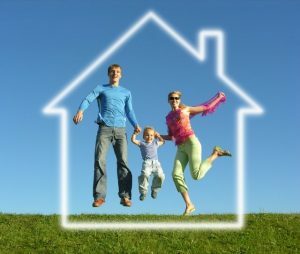 Affordable monthly mortgage insurance – USDA monthly mortgage insurance is much less than FHA, and 95% conventional loans. Low fixed interest rates – no worry about monthly mortgage payment changes, the USDA loan is a low secure 30 year fixed rate. Like USDA, the FHA loan is backed by the federal government. The Federal Housing Administration (FHA) provides many home ownership opportunities with minimal down payment required. Started in over 80 year ago, the FHA is the largest government insurer of home loans in the US today. The FHA mortgage program is one of the last remaining home loan programs that allow home buyers to purchase a home with little money down. FHA offers some advantages and disadvantages over the USDA loan. Let’s dig in and discuss all the FHA loan highlights and things you need to know. Unlike USDA, with FHA the home you purchase can be located anywhere. Great for first time home buyers that want live in more populated locations like Miami, Atlanta, Jacksonville, Tampa, Orlando, St. Petersburg, West Palm Beach, etc. Also unlike USDA, there is no income limits for the family. You can make unlimited money. FHA also has secure 30 or 15 year fixed terms with low interest rates. FHA is only up to 96.5% financing, so it does require a small 3.5% down payment. However, the buyers required down payment can come in the form of a gift from a family member. Buyers can also use City or County sponsored down payment assistance program (SHIP) to help with the 3.5%. * Certain restrictions can apply. More liberal debt to income ratio limits – FHA allows for higher debt ratio limits when compared to other programs. FHA also permits the home seller to pay up to 6% of the home buyers closing costs. Like USDA – 620 credit score needed to apply from most lender, banks and brokers. Home buyers that have 10% down payment can be approved for lesser credit scores. Learn more about FHA home loans here. The HUD $100 dollar down loan is a special FHA program reserved only for HUD owned properties. All the basic FHA requirements apply, except for the down payment – with this program you only need $100 out of pocket to close. Please learn more about the HUD $100 down program here. The VA loan program is a government mortgage program backed by U.S. Department of Veterans Affairs and provides a number of home ownership opportunities with $0 payment needed. The government backed VA loan is available only to active duty military personal, honorably discharged vets and their widows. VA and USDA are the only two first time buyer programs that allow 100% financing in the U.S. today. VA home loans offer some of the lowest mortgage rates available today. Like USDA and FHA, the VA loan has an up front funding fee (2.15%) that can be added to the borrowers loan. Home seller can pay buyers allowable VA closing costs. No location, household income or home restriction. VA does NOT have a monthly mortgage insurance – Big advantage over FHA and USDA. VA loan applicants will need a 600+ credit score to be approved by most mortgage companies. If you have VA entitlement, this is without a doubt the best home financing option for you. Check out this post to learn more about 100% VA Home Loan. Please note: We do not permit financing on any mobile – manufactured home, lot loans, or “build on your own site” with any of the programs listed above. Buyer that have questions about a specific 2016 first time buyer program, or how to apply can submit the short Info Request Form on the right side of this page. Mobile phone users can find the Info Request at the bottom on this page. You can also call us Mon-Sunday at ph: 800-743-7556. Thank you for your inquiry. Please submit the short information request form ( right side of this page) and a loan advisor will contact you ASAP to discuss all the details. such as a first time buyer. Fantastic, please submit the quick info request contact form on the right side of your page. We will have a specialist contact you to discuss all options in your area.